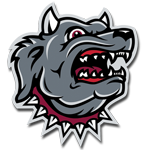 The Morrilton High School football coaches will host the 2017 Devil Pup Kids Camp June 1st and 2nd at Devil Dog Stadium. The camp is open to Kindergarten through sixth grade students and the registration fee is $40. The camp will run from 9:30-11:00 a.m. both days and campers will learn the basic fundamentals of football, as well as proper technique for each position, including footwork, hand placement, form tackling, route running and the “World Famous Dog Ball.” Registration and payment will be accepted upon arrival of the first day of camp.